Who new I could bake! This year I decided on Christmas trees and reindeers. 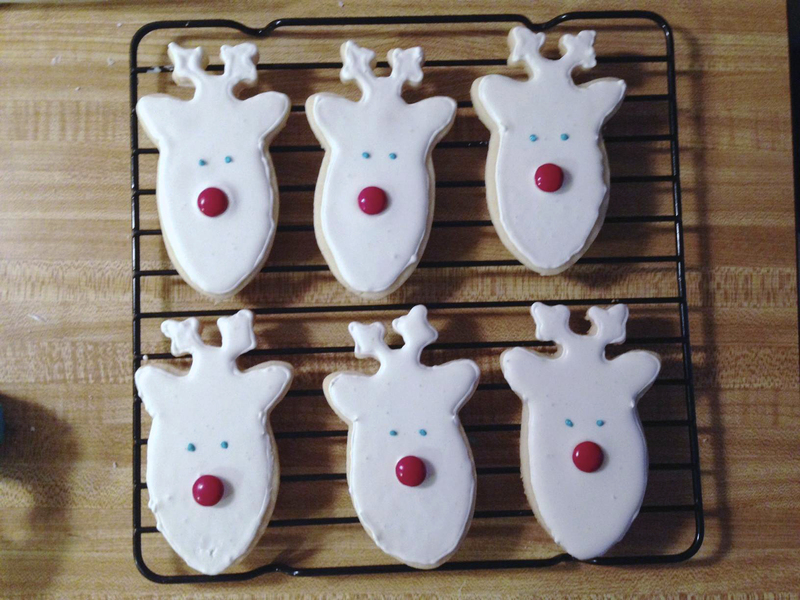 I read many different blogs about recipes for royal icing and flooding techniques. I took all of the info I found and picked the bits I could work with and did my thing. Here was my work station, because Sandy was also making her holiday treats, I had my corner of the table. In a large mixing bowl combine butter, shortening and sugar, beat until fluffy. Turn mixer down to the second to lowest setting and add egg and vanilla. Add flour 1 cup at a time until mixed thoroughly. minutes. Cookies will be soft. Allow cookies to cool on baking sheet for 10 minutes before moving to a cooling rack. Cool completely before frosting. 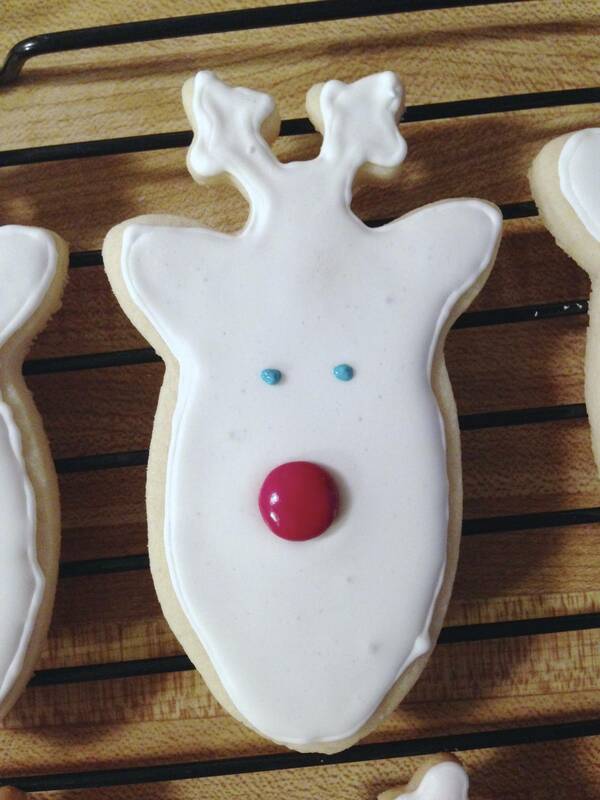 Make sure your cookies cool completely before decorating. 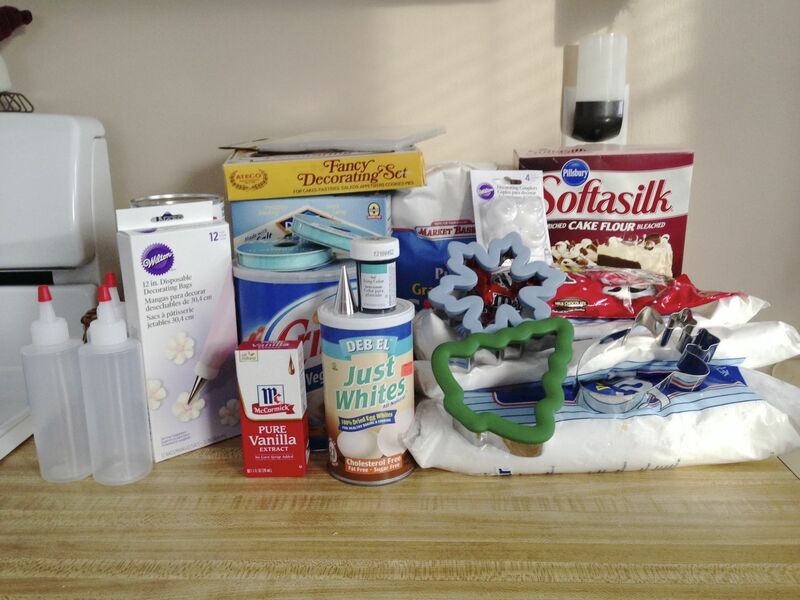 Add the dry ingredients, make sure meringue powder and sugar are combined well. Add the lemon juice to the water and slowly add to the dry ingredients while mixing. 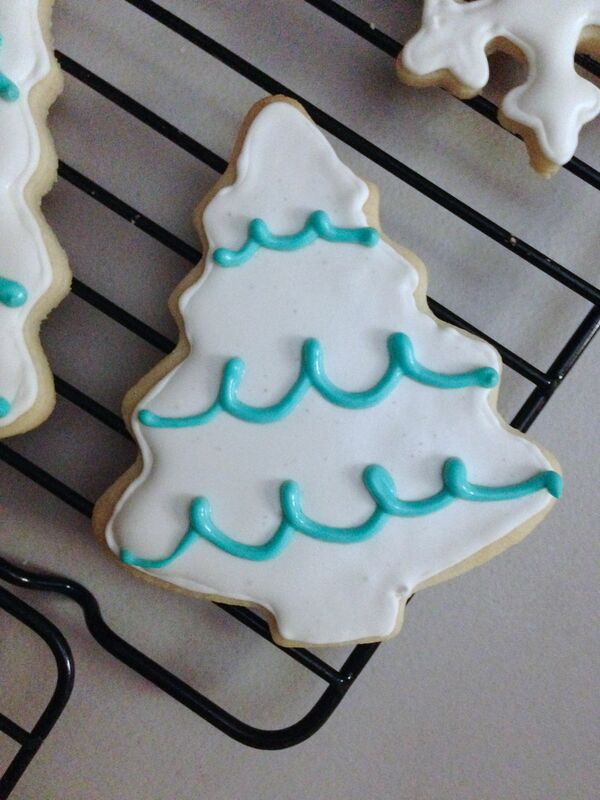 At first the icing will be very liquid like. 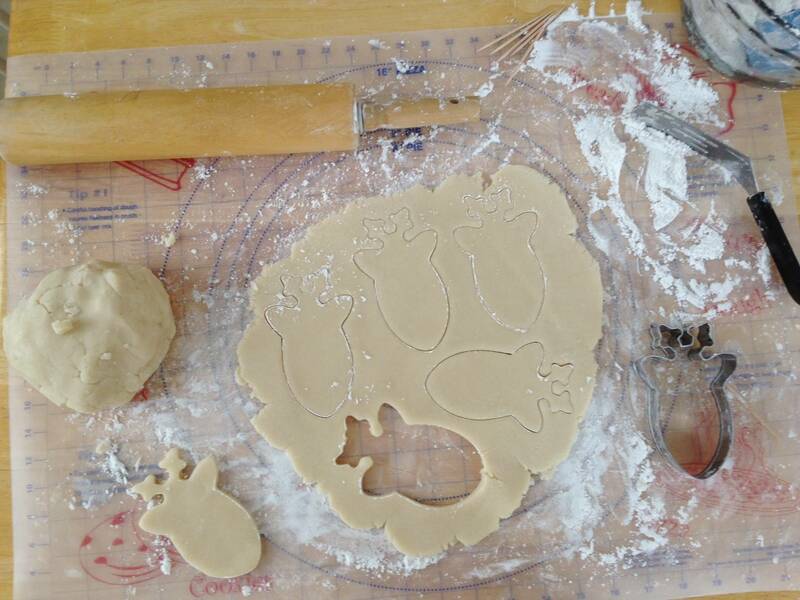 Continue to mix it at medium to high speed until it is fluffy and stiff peaks form, about 7-10 minutes. Mixing times are approximate, stop mixing as soon as it becomes stiff.